Please contact Paula (purrfactor@austin.rr.com) for more information about this pet.Rory is a cute little dilute tortie calico girl. She is half siamese as Scarlett is her Mommy. 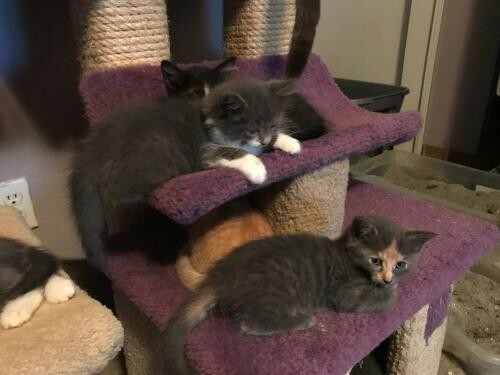 They are playful and fun group of kittens.She is pending a possible pre-adoption.Visit this organization's web site to see any additional information available about this pet.